Etsy, Foursquare, Reddit, imgur, Kickstarter, Vimeo and more will all intentionally place the dreaded spinning circle loading animation on top of content on their sites. Though pages will load at the same speed as usual, the presence of the icon is meant to make a point. If the federal government upholds recent court changes that gutted net neutrality, some of your favorite sites will be placed in an Internet “slow lane” until they pay a ransom to your cable provider. It’s already happening to Netflix, turning us everyday users of the site into pawns in ugly corporate battles over fees. A similar coalition of websites was behind the “Internet Blackout” protest against the Stop Online Privacy Act in 2012, when Wikipedia, Google and others featured censor bars and similar imagery to give a worst-case scenario peek into the net’s future under the unsuccessful bill. 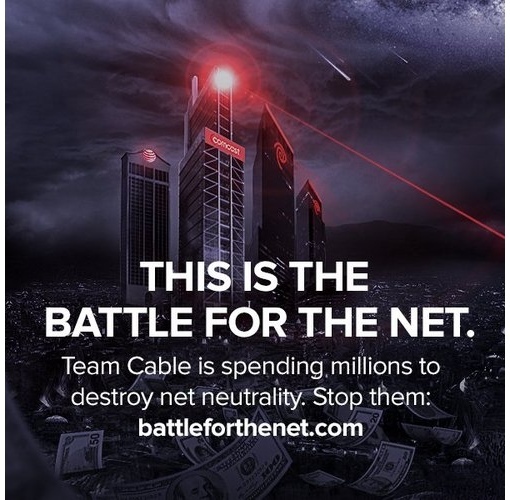 You can learn more about the coordinated Internet Slowdown effort and view the full list of participating sites at battleforthenet.com.